In a GTD effort to increase productivity, I studied my online activity this spring using time tracking software. Currently self-employed, I wanted to make sure time is not wasted but used wisely. For the most part, social media is out. Same goes for video games and online audio and video streaming sites (not that I ever play video games online anyone, but I do allow myself to listen to music and audio podcasts while working). A couple times during this period I noticed that the weekly report showed that I spent four hours on Facebook. I was shocked. Maybe I left the computer on while running an errand (which could take hours due to my current rural location) and left the internet browser window open during that whole time. I made immediate efforts to close that open loop of un-productivity. 23 hours! That is a lot of online time. But that statistic does not surprise me. As a professional graphic designer, I spend at least 40 hours a week in front of a screen. And now, most design and communication applications are cloud based or at least supported online. So, as you can see by the screen shot at the beginning of this post, much of my time is designing books, book covers and other marketing and print materials while listening to podcasts or music. That is a huge increase from three years ago — 280 minutes a week spent on Facebook. 4.6 hours a week. 18 hours a month! I can layout a 240-page book in that time and maybe have time left over to design the book cover (of course, that depends on editor and author changes and corrections, but I digress). I am sure there is a lot of news from family and friends that I miss by avoiding Facebook. But when you are self-employed those 18 hours can be used resourcefully and effectively to provide for your household — and to secure and maintain future clients. Or, at least, that is the strategy. In social media there are no take-backs, no do-overs. How do you manage your online and offline activities? Okay, I am assuming you do manage your online and offline activities. For many people, time management is something that is not practiced–especially as it relates to blogging and social media. If you have an idea or thought, you post it on Twitter, Tumblr, Facebook or blog it. True confession: I was one of those who did not manage online and offline activities. When I finally purchased a smartphone, I immediately downloaded all the latest and greatest social media mobile apps to stay connected. Or, at least, that was the reasoning. It was difficult for me to understand why some of my friends (online and in-real-life) were not more engaged in social media. For the most part, I disregarded them off as neo-luddites. Yes, I was a social media snob. That all changed when I joined the ranks of the mega-commuters. With long commutes to the office, there is limited time to engage in blogging and social media with out planning. Or at least, not a safe way to do it while driving through city traffic and mountains roads. Additionally, with the weight of leadership decisions and somewhere between 50 to 75 tasks per week, I rarely check my personal email or check social networks until the weekend. So, for the last year or so my blogging and social media posts and updates have been automated. More accurately, most blog posts are scheduled using a WordPress feature and social media posts and updates scheduled using Hootsuite. 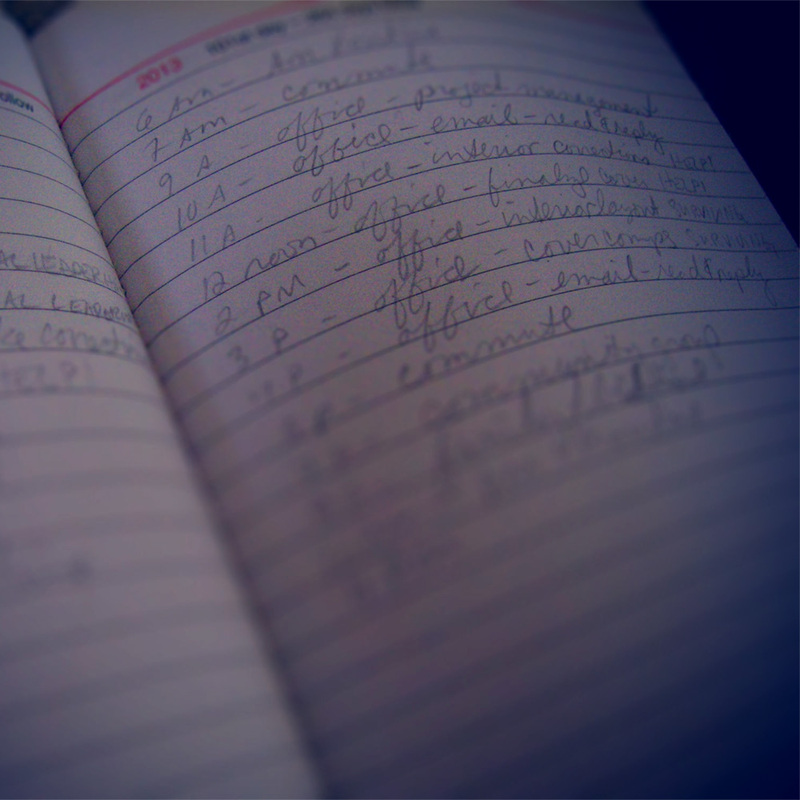 Saturday mornings or Sunday nights tend to be the time when I write online posts/updates. However, that doesn’t seem the best time to engage people. A couple articles I read   suggest when the best time to post content on blogs and social media. So, I preschedule the posts, tweets, and other social media updates on the weekend. Sometimes I preschedule posts and updates as much as 14 days to a month in advance. The downside of automating posts and updates as the lack of engagement. Sure, the content gets out there on a regular basis, but there’s little or no conversation taking place. This also means I miss a lot of the activity and conversation that is taking place on blogs and social networks. Some Saturday mornings I will spend a whole hour replying to comments on social media sites from the previous week. The point of social media is sharing and interaction. In a manner of speaking and due to my present circumstances, I’ve sort of become one of those neo-luddites I used to snarkily snicker at. It’s humbling to realize how much of an idiot I had been regarding social media snobbery. Not everyone has the luxury of being accessible to social media. And, quite honestly, terra will continue her daily rotation speed of 1070 miles per hour regardless of my social media activity (or lack thereof). Why share your work in social networks? 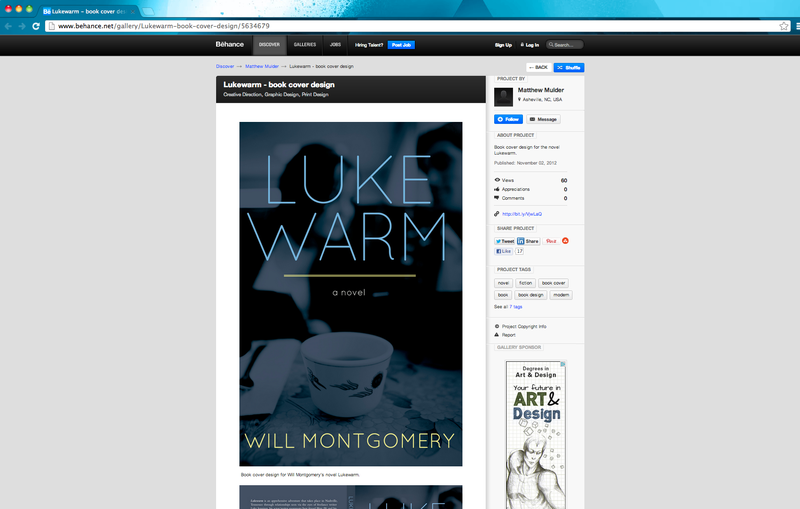 One of the book cover designs I promote on the social network Behance. A few months ago I came across a few articles asking the question “Does social media promote or enable narcissism?”   The article that impacted me most was from a source I never read. In the post, the author, Dodai Stewart, reflects on piece in The New Yorker and her comments are stinging and self-revelatory. Hm, narcissism and self-absorption. Herein rests the lingering thoughts of a week or so ago. As a professional, promoting my goods, services and whatnot help to grease the gears of capitalism, right? Conventional wisdom (or at least American business wisdom), purports that if consumers are not aware of your product/service, customers will not purchase from ME. So, I am advised by business owners and other professionals to promote MY skills, services, products, etc. And not only that, I need to establish MY personal brand (so that consumers can be more emotionally and psychologically invested in the products/services I provide). Maybe social networks are not promoting narcissism and self-absorption as much as one might think. There may be a greater systemic issue that only social networks magnify. NOTE:  Tara Parker-Pope, “Does Facebook Turn People Into Narcissists?,” New York Times, May 17, 2012 accessed January 2, 2013 http://well.blogs.nytimes.com/2012/05/17/does-facebook-turn-people-into-narcissists/  Steve Tobak, “Social networks and the narcissism epidemic,” CBSNEWS Money Watch, August 29, 2012, accessed January 2, 2013 http://www.cbsnews.com/8301-505125_162-57502035/social-networks-and-the-narcissism-epidemic/  Dodai Stewart, “Self-Absorbed Is the New Normal,” Jezebel, June 26, 2012, accessed January 2, 2013 http://jezebel.com/5921468/self+absorbed-is-the-new-normal. A book is more than a collection of letters and pages. The week before Fathers Day I completed a book design project that is a “legacy of letters from a decorated World War II hero…” Or so the back copy states. Reading a manuscript like that, at times, seems voyeuristic. The compelling part of the book is the context of knowing that the author was three when his father passed away suddenly. He grew up hearing friends and family tell him “You sure look like your Daddy” or “I knew your Dad, he was one of the best.” The letters that the author collected for the book shares who is father was and what kind of man he was. But most importantly, for the author, it was the only way to hear the voice of a father he never knew. 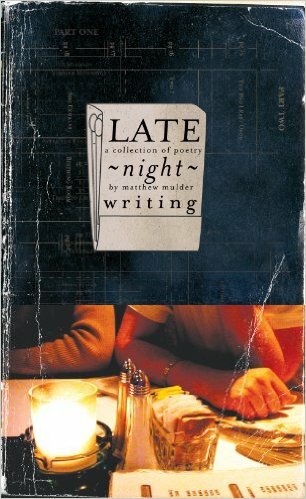 At times, during the process of designing the cover and page layout, I glimpsed that boyish tenderness of the author (now in his sixties) as he ached for the presence his father. I cherished Fathers Day all the more as I thought of the author. A couple of things come to mind as I wrap up this project and send it to press. First, the art of letter writing seems non-existent. The last letter I received was from my oldest child who placed it in my boot for me to find one morning. It was a simple note written in colored pencil. It is placed in my journal. I glance at it periodically. Last time I received a hand-written letter was years ago. There are the seasonal holiday letters that begin filling my mail box every year between Thanksgiving and New Year’s Day. They usually arrive as letters printed out on decorative stationary purchased at Kinkos or Office Depot. But hand-written letters? Do people still do that in our culture? Emails may convey some of the gravitas as a written (or typed) letter. However, as Luddite as this sounds, I still have hand-written letters from family and friends placed in an old shoe box. Letters and notes from a woman who became my wife are stored in a similar fashion. A typed note from my grandfather, when age had crippled his hand-writing, is placed in a book of his poems as a reminder and memento. As a child, my grandmother wrote a brief letter to me each birthday and placed a stick of gum in between the folds. I looked forward to that letter each year. You can’t attach a stick of gum to an email. Besides, I doubt anyone in our culture would wait, anticipate and enjoy a letter that arrives annually. Everything is so urgent… almost panicked. Why isn’t someone responding to my emails, texts, tweets? It’s been 30 seconds! (Place emoticons here.) In my own life, I notice how differently I process social media and online content. There lacks a linear stretch of the intellect when processing clusters of data points from Twitter, Facebook, HuffPo, etc. My attention span fatigues when I have to wade through a barrage of emails, updates and tweets. Yet I enjoy the long articles in the Atlantic Monthly, London Review of Books, The New York Review of Books or the like. It stimulates my mind. 700-word news articles for the most part bore me. There’s nothing there but a nut graph. No context. No history. No personality or narrative trajectory. Just a Google-like, or Wikipedia-like, democratized collection of information. There’s nothing there to engage my mind. Nothing that challenges my mind, beliefs or values. A book on the Battle of Agincourt offers nuances that blog posts, tweets and texts don’t offer. Reading through a legacy of letters, like the book I am ready to send to press, captures the exchange of ideas in a sustained, generational conversation between a father and a son. The more our culture engages in the scatterbrained conflagration of data items, I suspect civil, engaging conversation (like letter writing) may become obsolete. This is obvious, but essential. Connecting with a local bookseller is vital to promoting your book. Most booksellers see your book title listed in their wholesale catalogs. All you need to do is remind them it’s there and then see if they’ll host an event. Be sure to contact the bookstore’s event coordinator, not the store’s book buyer. The PR & Events Coordinator schedules store events like readings and book signings and is the best point of contact for a newly published author. Consider non-bookstore venues. Schools, public libraries, or other venues may have suitable audiences for your book title. Don’t just assume that your audience only buys books at Barnes & Noble. Libraries are great places to read. I’ve read in various locations including a tavern, café, ballroom, art studio, church and several other places. One author I know had a reading at a chocolate shop. Be creative with your events. Social media sites like Twitter, Facebook, etc. are great tools to promote your book. If you don’t have an account, you’re already behind. Be authentic and approachable on these sites. If you sound like you’re a pushy salesperson, you’ll lose your audience. Share with your social media audience the same way you approach your book reading audience. Make converts from social media followers to book buyers. What is Tumblr? Besides being a highly addictive micro-blogging platform,  it was the place I did most of my blogging during the last few years. That is, until a few weeks ago. Two primary reasons why I deep-sixed my Tumblr accounts: simplistic functionality and superficiality. Those familiar with Tumblr know the distraction of the endless expanse of images that populate the majority of these micro-blogs. Tumblr subscribes to the lowest common denominator of web log functionality to allow for users to post photos, videos, audio & text. The Tumblr interface allows users with absolutely no HTML experience and no blogging experience to post a menagerie of online content without having to really think about it. Add to the mindless uploading or reblogging of content is the liking system. If you “like” a blog post viewed somewhere in the Tumblr stream of people you are following, then you click the heart icon. The system is reciprocated by other users in a virtual validation and comparison of or by other Tumblr users. What makes this system clumsy and superficial is that there is no real communication between users. In a way, it’s like an individual person in a large airport terminal with all the televisions droning on and on. It’s an extremely lonely experience. The “follow” feature, like Twitter, allows users to track your posts — and you may follow in return. Curious as I am, I often clicked on Tumblr profiles to find out who is following my Tumblr account. Like Twitter, a lot of my account’s followers were users seeking to promote something or looking for personal validation and/or competition by earning return follows (it is a common practice on Twitter to earn more followers in order to expand audience reach or to just boasting rights to having thousands of tweeple following your tweets). Some people prefer Tumblr because it easily integrates with social media sites  making it more of a network tool than a blogging platform. When Tumblr was first launched it was very simple to aggregate your Tumblr content to Facebook, Twitter, and other social media outlets. But now most blogging platforms allow that too. Most of the followers to my Tumblr account didn’t connect or even communicate with me. They just “like” something I post and then “follow” my Tumblr account. It’s an empty, hollow interaction if not essentially dehumanizing. Another issue I had with Tumblr is that the platform really doesn’t work well for long-form blog entries. There are exceptions,  but on the whole, most Tumblr users are there for photos or videos or reblogging someone’s photos and videos. As someone who enjoys reading and stimulating conversation, I became very aware of how my thinking was changing as I consumed the endless Tumblr stream of images. One night I speculated that some users must spend all day on Tumblr. There is a schedule feature on Tumblr that allows users to place posts in a queue to be published later, but the time investment to post photos seems vapid. Occasionally, I’d come across an intelligent quote or text-post and “like” it or even “reblog” it. I discovered, to my embarrassment, that not all quotes I reblogged or liked were accurate and stopped the practice. Increasingly, I was disturbed that the lack of exchange of ideas was altering the way I think as I succumbed to an avalanche of images falling from the blue Tumblr interface screen. One blogger noted that someone said Tumblr is an intellectual version of Twitter,  and further noted correctly that most Tumblr users post photos. How is that intellectual? I must confess, when I began to use Tumblr as a blogging platform I posted a lot of text pieces. It was an easy platform to post my writings, art work and photography. I liked the ease that it offered. But I got caught in the cycle of seeking validation of posting content simply to earn “likes” from “followers.” So, like an addict, I’d post more content — images that I didn’t create, but I liked (and sometimes “liked”) or inspired or informed me. But there was little if any engagement with other Tumblr users. Facebook and Twitter offered more discussion and conversation than Tumblr. It felt like a completely self-centered arena that offered nothing but consumption of content with no way to seek the best in others. I was not growing or learning from my Tumblr experience. I wasn’t meeting new people and exchanging ideas. 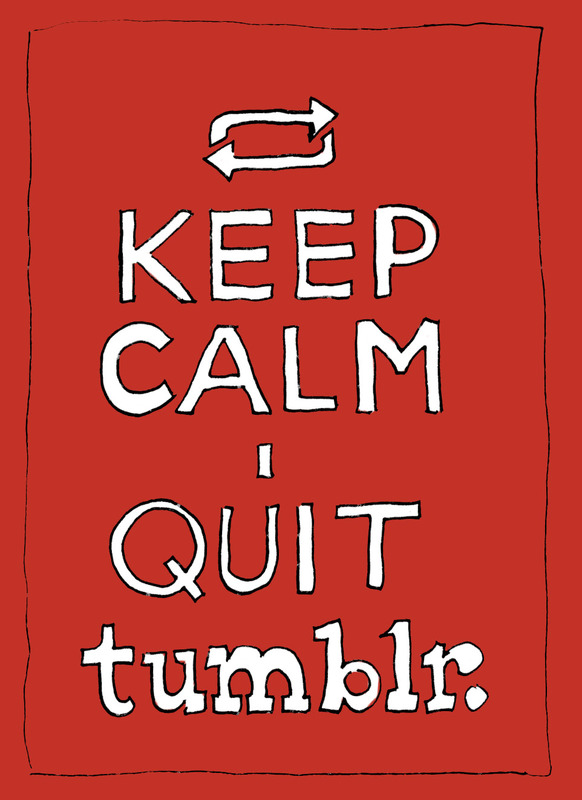 For me, quitting Tumblr comes down to this. An online community cannot grow and flourish if the lowest common denominator is a micro-blogging platform for web-illiterate users who reblog each others photos with silent alacrity. Remember when you didn’t use your real name on the Internet? Facebook is ubiquitous. In many ways it has replaced blogging. As an individual who has been blogging, well, since before the advent of Facebook, there were certain silent codes to blogging. Local bloggers like Edgy Mama, Ashvegas and Modern Peasant (who I recall may have been blogging before the advent of the internet), maintained a third–tier level of intimacy with blog readers. In other words, there were third-tier personal details that were disclosed on blogs, but other more intimate personal details that may or may not be disclosed in real life at local blogger meet ups. It appears that Facebook disregards a third-tier relationship between content provider and content consumer. Here’s a couple of articles I’ve read recently about Facebook. 10. Facebook’s Terms Of Service are completely one-sided: Facebook’s Terms Of Service state that not only do they own your data (section 2.1), but if you don’t keep it up to date and accurate (section 4.6), they can terminate your account (section 14)…. 8. Facebook has flat out declared war on privacy: Founder and CEO of Facebook, in defense of Facebook’s privacy changes last January: “People have really gotten comfortable not only sharing more information and different kinds, but more openly and with more people. That social norm is just something that has evolved over time.” … Essentially, this means Facebook not only wants to know everything about you, and own that data, but to make it available to everybody. This includes your music preferences, employment information, reading preferences, schools, etc. All the things that make up your profile. They all must be public — and linked to public pages for each of those bits of info — or you don’t get them at all. How will you remember anybody’s birthday? How will you hear about parties? You don’t care about privacy anymore. Remember when you wouldn’t use your real name on the Internet? 80 million of you are addicted to Zygna’s Facebook game, FarmVille. The Internet has allowed access to volumes of data. Yet, some personal details should be maintained behind firewalls or offline. I’m not sure if it’s entirely Facebook’s fault. Facebook users willingly surrender intimate details to the Internet gods. A good, old school blogger rule is this: the Internet is immediate and permanent; only post stuff you want to remain permanent and searchable.